Green building is evolving from a niche market into a national norm. Though this new norm is mostly voluntary, there are communities around the country that encourage green building through a variety of incentives. These incentives vary according to local jurisdiction. However, they often share the common characteristic of verification by using independent third-party green building rating systems such as the U.S. Green Building Council (USGBC) Leadership in Energy and Environmental Design (LEED), U.S. EPA Energy Star® qualified new homes program, U.S. DOE Building America program, and the Florida Green Building Coalition (FGBC) suite of green designations (see Web links in Additional References & Resources section of this fact sheet to learn more). Program benefits include fast-tracked building permits, a 25% reduction in permit fees, marketing support, and an annual green building award. To receive these benefits, a residential building application must “satisfy all of the requirements associated with the current Green Home Designation Standard of the FGBC, including but not limited to, any monetary or certification requirements.” Commercial or city-owned projects must meet requirements of the USGBC LEED Rating System, while retrofit/remodel projects use a set of standards developed by the city. The first Green Building permit for new residential construction was issued in January 2003, and builders collectively saved over $600,000 in permit fees in the program’s first four years alone (when the permit fee reduction was 50%). In addition to direct energy-efficiency measures, homes in North Point at Ironwood are indirectly conserving energy and avoiding GHG emissions through the use of resource-efficient landscaping choices including turf areas planted with drought tolerant bahiagrass, shrubs that require irrigation for establishment only, and no installed in-ground irrigation systems. The area of conditioned space in North Point at Ironwood homes ranges from 1,002 to 1,994 ft2 and averages 1,421 ft2, making these homes considerably smaller than the 2004 national average household heating/cooling footprint of 2,349 ft2. This translates directly into reduced energy demand and avoided GHG emissions for North Point’s homes. Energy consumption records for the 27 homes in North Point at Ironwood occupied during the year 2009 were evaluated using baseline data for comparable homes in Gainesville (i.e., those with the same number of bedrooms and bathrooms, within the same conditioned square footage range and of the same age), as well as baseline data for all homes in Gainesville. Results indicate that North Point at Ironwood homes consumed an average of 14,236 ekWh/home in 2009, compared to 15,341 ekWh/home for comparable homes in Gainesville (Table 1). Since the evaluation of comparable homes accounted for home size and age, the difference in energy consumption can most likely be attributed to the energy efficiency features included in the homes to earn the Gainesville Green Building Program’s incentives. However, household occupant behavior can also have a significant effect on energy consumption patterns. Furthermore, consumers buying homes in North Point at Ironwood may be more willing to engage in energy and water conservation behaviors than consumers buying non-green certified homes in other communities. The average energy use and corresponding GHG emissions of the North Point at Ironwood homes occupied during the year 2009 were about 8% less than comparable homes in Gainesville and 39% less than the average for all homes in Gainesville. 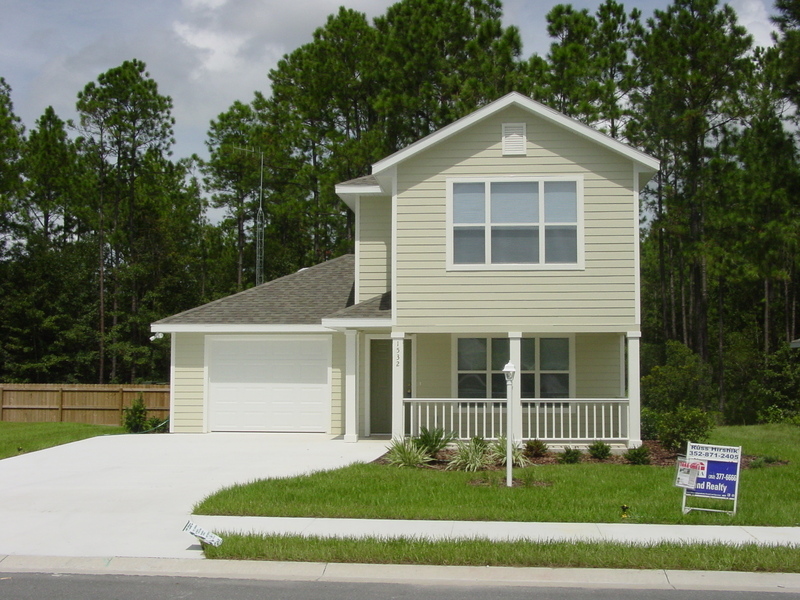 If the 38,709 new single-family homes constructed in Florida in 2008 had been built under green building standards adopted by ordinances like the Gainesville Green Building Program and achieved the same percentage savings as these case study homes, then 84,617,874 lbs. of CO2e / yr could have been avoided. City of Gainesville. Article I.5. – Gainesville Green Building Program. Revised June 17, 2015. Florida Green Building Coalition. Florida Green Home Certification Standard. Revised June 17, 2015. N.C. Clean Energy Technology Center. Database of State Incentives for Renewables and Efficiency (DSIRE). US Department of Energy. Building America: Bringing Building Innovations to Market. Revised June 17, 2015. US Environmental Protection Agency. Certified New Homes. Revised June 17, 2015. US Green Building Council (USGBC). Leadership in Energy and Environmental Design (LEED). Revised June 17, 2015. First published January 2011. Revised June 2015. Gainesville Regional Utilities provided data on energy usage of Gainesville homes. The permit fee reduction in the ordinance as it was originally enacted was 50%, but it was subsequently changed to 25% for budgetary reasons. US Green Building Coalition. LEED v4 for Building Design and Construction. Revised June 17, 2015. North Point at Ironwood homes were evaluated for ENERGY STAR compliance during the time that the HERS rating changed from the HERS Score to the HERS Index and the Florida Building Code changed. For the 22 homes evaluated under the newer HERS Index (after July 2007), the average HERS Index rating was 77.5. 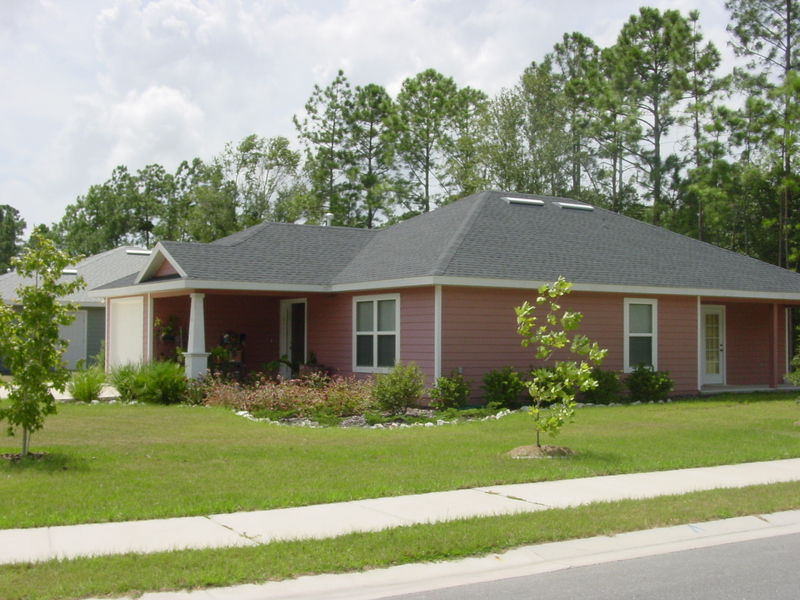 Until July 2009 the requirement to quality as an ENERGY STAR home in Florida was a HERS Index rating of 80 or lower. (It is now 77 or lower.) Under the current rating structure, each 1-point decrease in the HERS Index is expected to correspond to a 1% increase in energy efficiency, with the 2004 International Energy Conservation Code (IECC) as the basis. A home with a HERS rating of 77 would therefore be expected to be 23% more energy efficient than a home built to 2004 IECC standards. A home built to Florida’s stricter 2007 energy code for residential construction would be expected to achieve a HERS Index rating of about 85 to 90. Therefore, based on their HERS Index ratings, we would expect the North Point homes evaluated to use, on average, 7.5% to 12.5% less energy than comparable homes built to the Florida 2007 energy code. Jones, P. H., Taylor, N. W., Kipp, M. J., and Knowles, H. S. (2010). Quantify household energy performance using annual community baselines. Revised June 17, 2015. In 2009 these homes met the ENERGY STAR performance expectations, since they were expected to consume at least 7.5% less energy than comparable homes according to their HERS indices. It is important to compare actual to expected performance and to use appropriate baselines when making these comparisons. Within North Point, each home avoided the release of 2,186 lbs of CO2, which equals 107.4 gallons of gasoline per home, as each gallon results in 20.35 lbs of CO2 (Source: fueleconomy.gov). ekWh (i.e., kilowatt hour equivalency) is calculated by converting kWh for electric use to BTUs, combining with BTU use from natural gas where appropriate, and converting to kWh to present total energy use (electric and natural gas) in ekWh. CO2e (i.e., carbon dioxide equivalency) is calculated by converting all relevant greenhouse gas (GHG) emissions (e.g., carbon dioxide, methane, and nitrous oxide most commonly) for that emissions source into the common unit of carbon dioxide equivalency by multiplying them by their individual global warming potential (GWP). US Census Bureau. New Residential Construction. Revised June 17, 2015. This (84,617,874 lbs of CO2e / year for all homes in Florida built in 2008) is equivalent to avoiding the combustion of 4,158,126 gallons of gasoline (or 107.4 gallons per home) as each gallon results in 20.35 lbs of CO2 (Source: fueleconomy.gov).